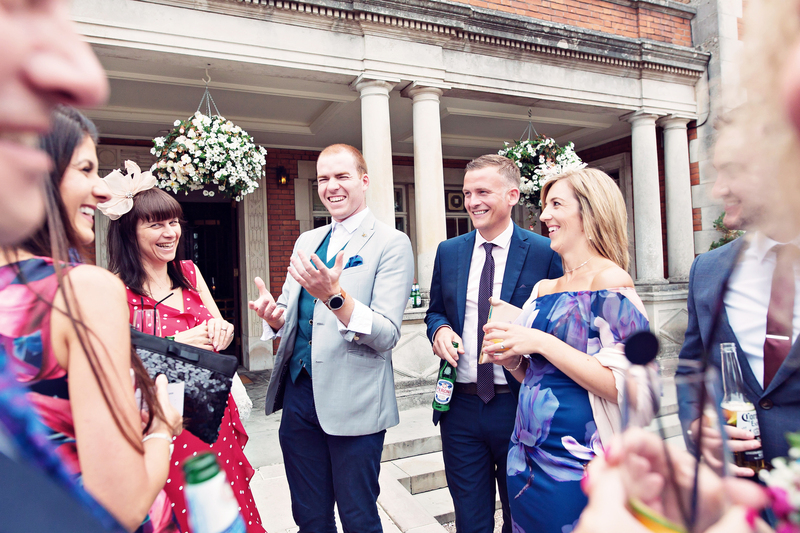 About Sam - Manchester Wedding Magician, Sam Fitton. I’m going to be straight with you. I never thought I’d become a professional wedding entertainer, let alone win national wedding awards for my services. I fell into the wedding industry almost by accident and since that day I haven’t looked back. Growing up in Ramsbottom I began my performing career at the Red Hall Hotel, where I earnt my first professional booking at the age of 14. I’d had an interest in magic since I was a child but it wasn’t until a chance meeting with another magician whilst on the way to have eye surgery* that I started to learn the real tricks of the trade. After leaving High School, I was destined to be a science geek, over achieving in every academic subject. I went on to study at college before reading Biology at Lancaster University. During this time I realised what I really wanted to do with my life. Perform. So I joined the Police (don’t ask)! But after two years I’d put it off long enough and so I took the plunge and set up business full time as ‘Sam Fitton – Magician’ based in Manchester. Fast forward to present day & I’m proud to have won 4 regional awards, a national award, entertained dozens of celebrity clients & was even booked to perform in the Seychelles. (I know, I still pinch myself)! In 2015 I was awarded with the best wedding entertainment in the country and followed this up by training the 2016 & 2017 winner. In 2018 I was asked to judge the award and am proud to support excellence in the field of wedding entertainment. 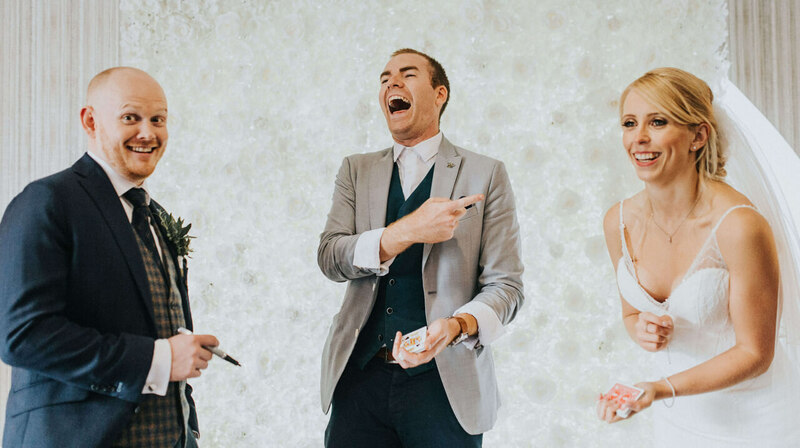 I recently published my first book on the subject, The Golden Rules of Wedding Magic, that teaches other magicians how to be great wedding entertainers. To say I like to keep my self busy is an understatement with more than twice weekly performances at weddings, corporate events & parties as well as consulting, writing & directing for TV & theatre. With aspirations to play the villain in a Hollywood film, I set myself exceptionally high standards and goals though my passion for theatre, acting, magic & performance has always seen me rise to the occasion & deliver my best. I’m incredibly proud to have got this far, I’m excited to see what’s to come & I can’t wait to hear from you about your wedding.